Have you read this book? I’d love to hear from you. Buy this giant textless big book here. A textless big book (pictures only) with a strong focus on Bullying, fitting in and friends. 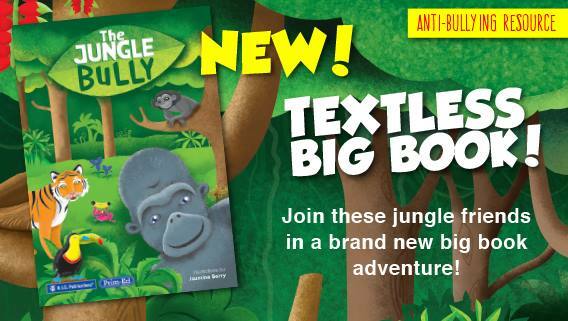 Available from Perth based educational publisher R.I.C. Publications. Book synopsis: A small monkey is bullied by other monkeys in his community and, feeling sad, runs away to be by himself. Seeing a group of happy animals, he decides to take his frustrations out on a harmless gorilla, and does this while the gorilla’s friends are distracted or sleeping. Although much bigger than the monkey, the gorilla doesn’t retaliate; but rather than remain silent, he finds his friends and tells them what happened to him. 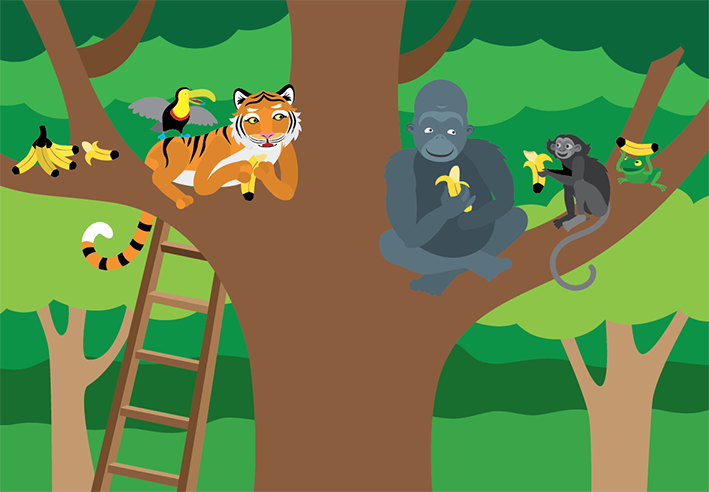 The animals decide to confront the monkey and talk about what he did to their friend. The monkey, now realising the gorilla has a support network, appears worried about what they will do to him. 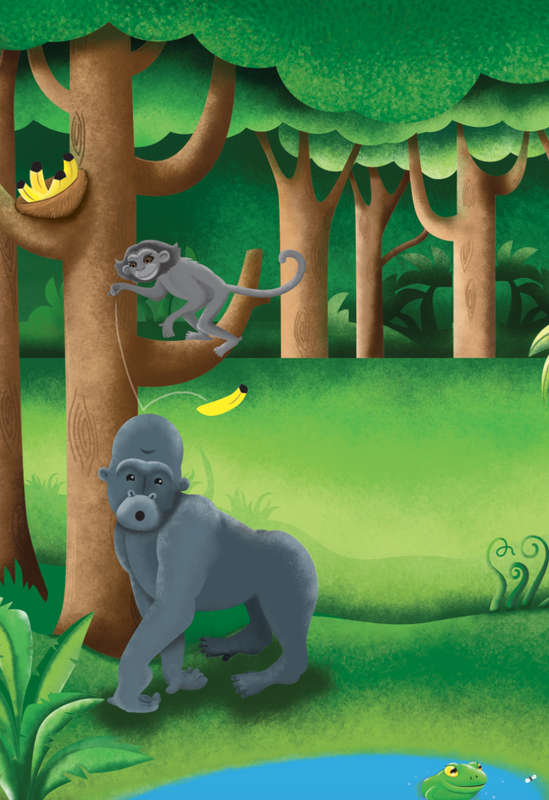 The animals give the monkey a chance to tell his side of the story and are saddened by what they hear. 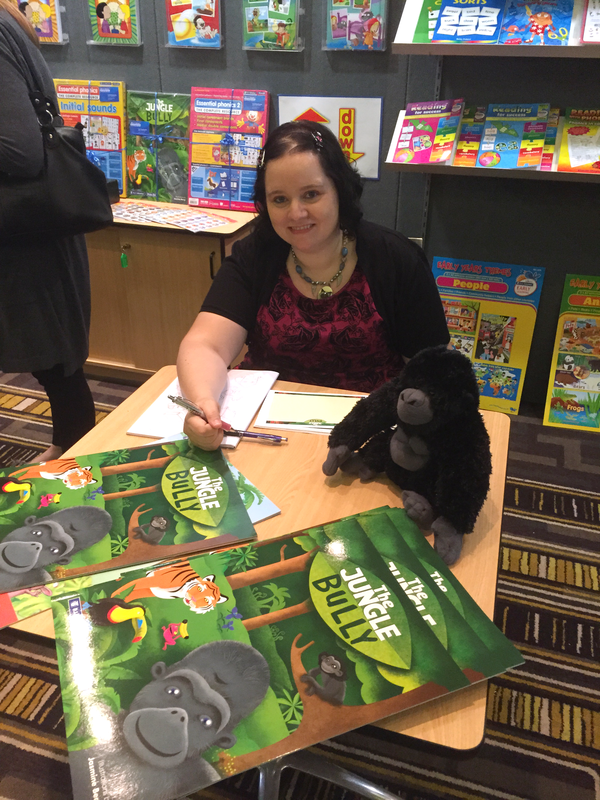 The gorilla and monkey are left to discuss how they can move forward and how the gorilla and his friends can support the monkey. 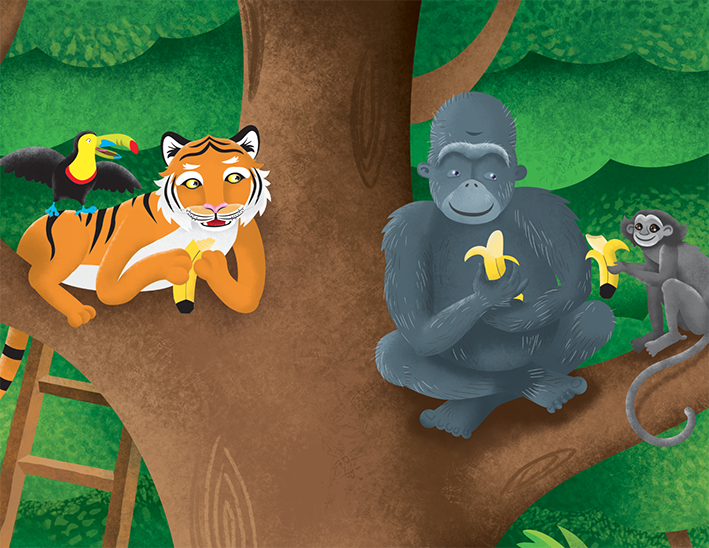 They come up with a plan where all the animals can work together so they can all enjoy the jungle and keep the monkey safe. And even more great educational books here. And here I have some process and progress images. 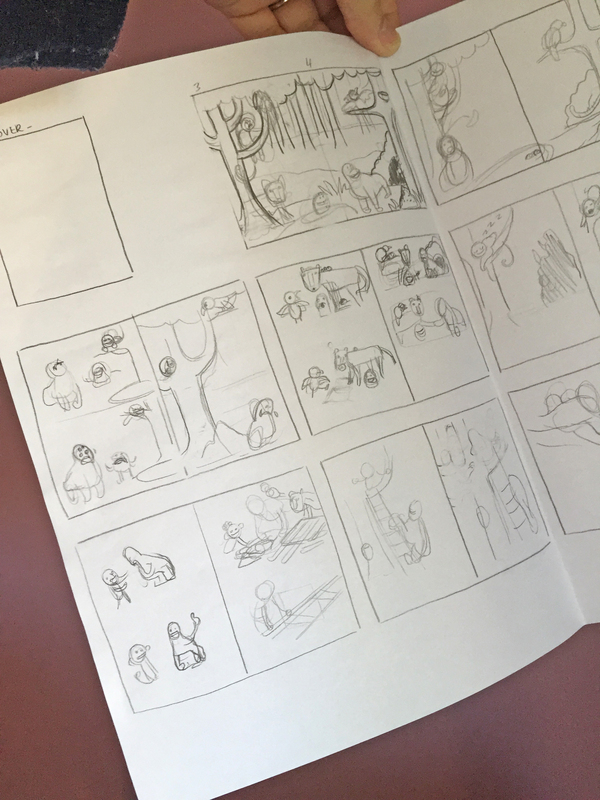 This a very RAW original storyboard for the book. 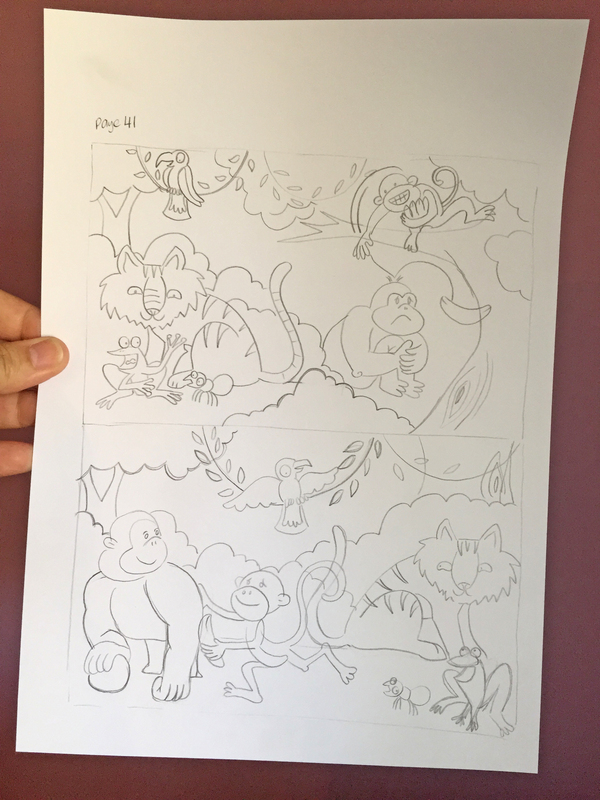 Completely unfinished pictures I was using just to get a feel for the way the story would run and if it could work. Wow! I found an original sketch for the story featured in R.I.C. Publications back in 2009. The little story for an English title written by Noeline. Completely cartoony, and not so well drawn. It was released as a blackline, and eventually evolved into the book! 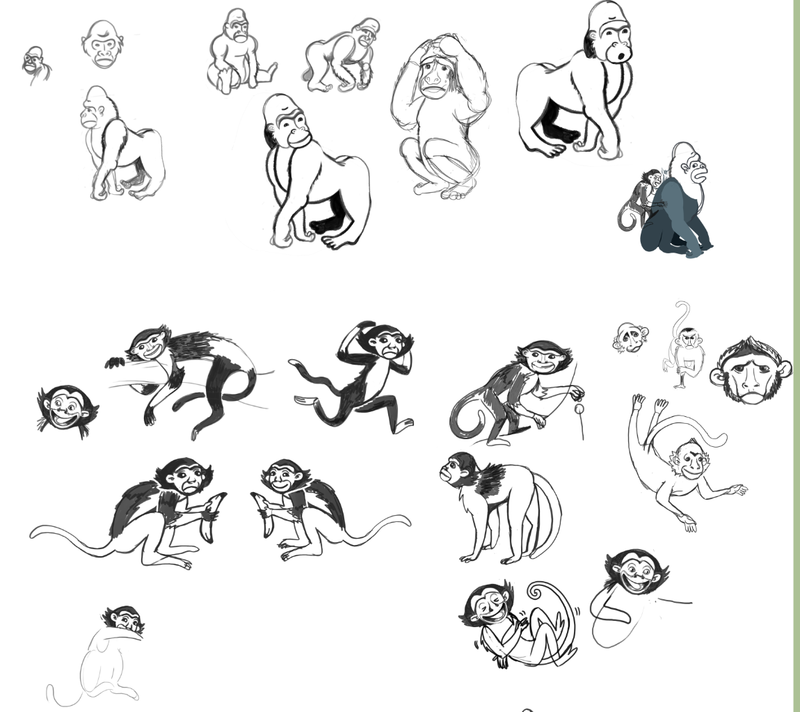 Digital sketches… So many monkeys! Note: the frog was green! Boss suggested it to be a different colour …and why not HOT PINK? For this book I used a process of sketch/vector and colour. Above is an early vector version of the finale.